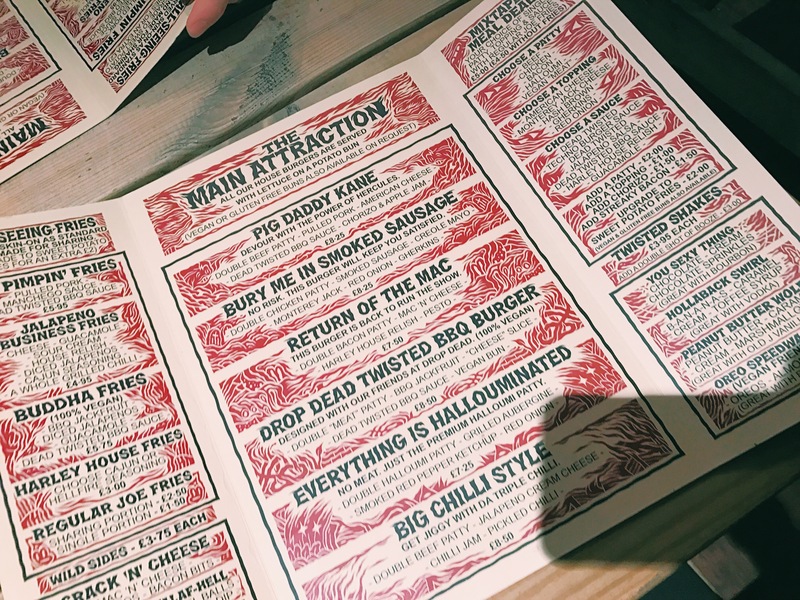 With a heavy head and wavy eyes, me and four friends dined at The Harley for some proper Sheffield burgers… hangover cure? A choice of 6 very solid burgers stood centrefold on the blindingly overwhelming menu making it a onerous decision. With guidance from a devoted attendee to The Harley, I was confidently lead toward the ‘Return of the Mac’ burger. 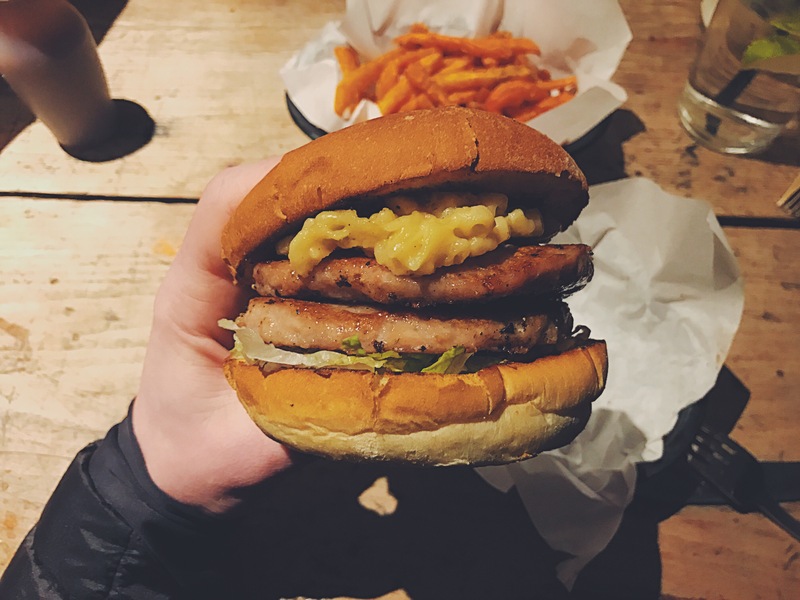 I can say with confidence this burger is one of the more obscure burgers I’ve eaten to date, with its wide array of unconventional burger ingredients and the UK’s first bacon meat patty. From the first bite to the last the bacon patty made this burger a completely different experience, but still a noteworthy one at that. The pesto was quite delightful, again quite unusual for me as this is a first on a burger but with the mac n cheese and house relish, it blended in and wasn’t too overpowering. I feel this burger needs a sister burger where it’s available with a beef patty instead of bacon, as I think this is what will make it one of the finest. But until then, I’ll give this burger a burger rating of 7 out of 10.